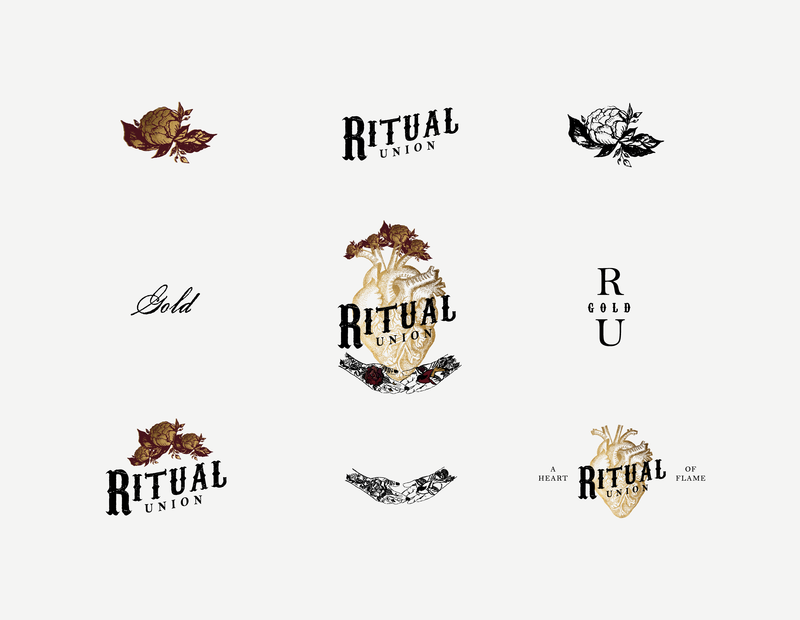 Brand Identity Illustration Design for Ritual Union by Amarie Design Co. Ritual Union highlights the beauty of authentic eccentricity. 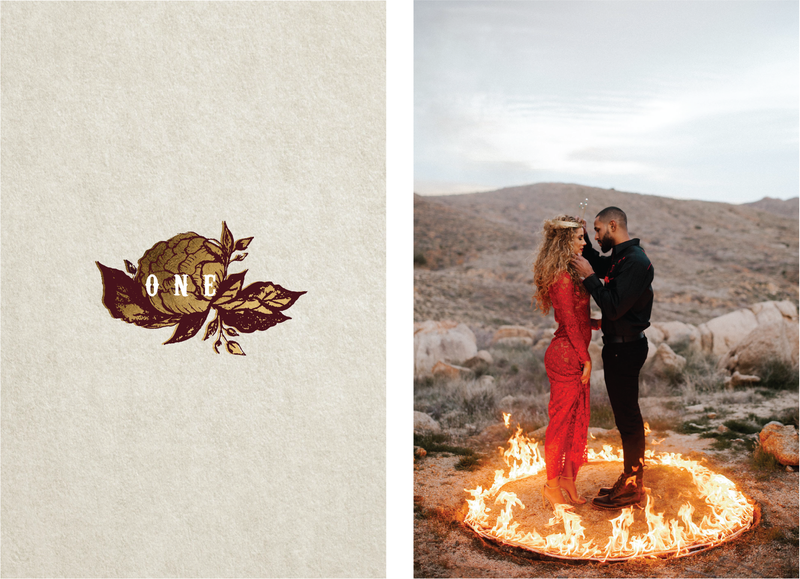 Ritual Union: Heart of Gold is a collaborative styled shoot envisioned, directed, and shot by Phoenix based photographer Jamie Allio. Heart of Gold is the first in the three shoot series and is made up of The Bathtub, The Party, and The Ritual. The entirety of the day follows the couple as they revel in the little moments and everyday magic of real love. We designed the logo and brand identity for Ritual Union, along with secondary logo marks for the three portions of the series. Jamie approached us with an intricately detailed vision describing the essence of Ritual Union as a three story series. We worked closely on the Brand Identity Design to bring life to her vision, beginning with the creation of a primary logo and word mark enriched with a rough texture. With a collection of hand-drawn illustrations created as separate mini-logos for each shoot in the series, we created a primary logo comprised of custom design elements and the word mark. The secondary logo mark designs revealed the identity of the shoot in the series. 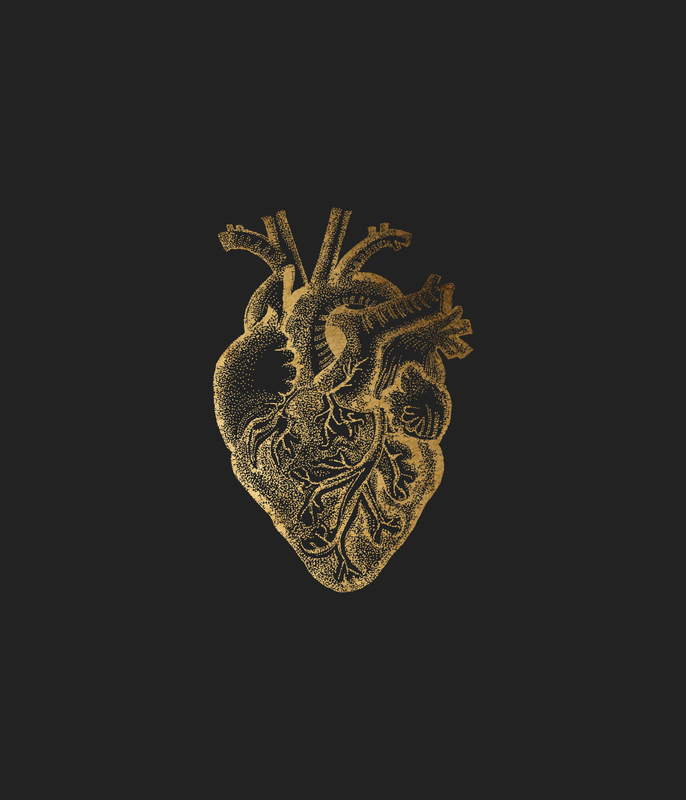 The illustrations for Ritual Union-Heart of Gold feature a golden anatomical heart and a golden peony.The singular anatomical heart symbolizes the union of two lovers, while we chose the peonies as an omen of good fortune and romance. The three shoots in the Ritual Union series symbolize an aspect of love; Heart of Gold focuses on the mental. Gold was chosen for its symbolism in Hindu culture, representing knowledge, learning, meditation, and mental development. Finally, the color palette of charcoal, black, gold, deep berry, and crimson drew directly from the styling.